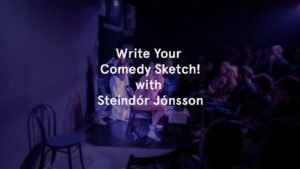 Steindor Jonsson is an Icelandic writer, comedian and podcaster. He performs improv and standup in Berlin and internationally, but most of all he loves writing sketch comedy. 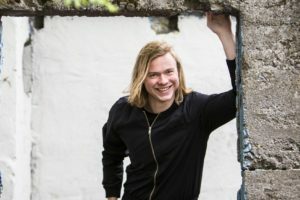 He’s studied sketch writing with Rebecca Drysdale (Key & Peele) and written and produced sketch for The Gemini Consortium, Sketch Bomb, VCR and his own The Steindor Jonsson Wariety Shov at Comedy Café Berlin. He also created the web series Cloud of Ash which received international attention.